We are hosting Christmas for the first time this year, and with that comes the chance to set new “family” traditions and Christmas dinner favourites. 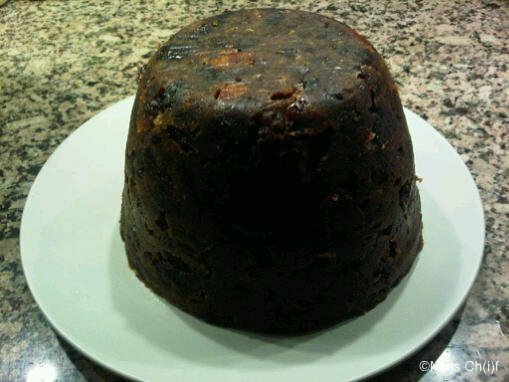 I thought this year would be a great time to make my first Christmas pudding. Despite my Mum’s love of cooking and the fabulous Christmas feasts we gorged on as children, I don’t remember that we had the home made pud (Mum made up for it with the brandy butter!) so this was a real first for me. I followed the recipe closely and crossed my fingers hoping that the 6 hours steaming on the stove would be worth it, and I was delighted that it slid out of the pudding basin successfully! It was actually one of the easiest things I’ve baked so I am excited to start my Christmas traditions with the “Tropical Christmas Pudding” from the December 05 edition of Delicious magazine (p 118) and hope it looks as good plated on the table on Christmas day (after a few dousings of brandy) as it did fresh out of the mould!